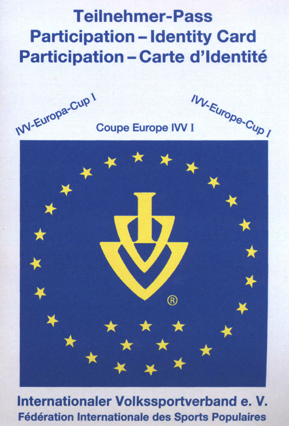 IVV Europa Cup II awards are given to Volkssporters who have participated in IVV events in 16 different European national member associations. Awards: sleeveless fleece waistcoat with EUROPE CUP emblem, certificate. 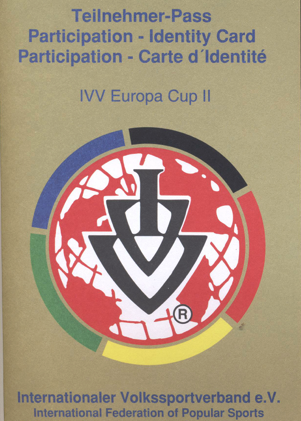 IVV-Headquarters is also responsible for the processing of the record books. IVV member countries and countries with Direct Member clubs, or where travel / tour companies organize IVV-sponsored walking events from time to time. IVV events in Turkey are organized in the European and Asian part of the country. IVV Europa Cup I awards are given to Volkssporters who have participated in IVV events in 14 different European national member associations. Awards: EUROPE CUP patch, T-shirt with EUROPE CUP emblem, certificate.